Microdermabrasion benefits people with uneven pigmentation, fine lines and clogged pores can benefit from a series treatments. Although after just one session you will notice improvement, we suggest having regular treatments based on your skin type/skin issue. Skin type/issue does play a major factor in determining how often you should be treated. Oily, clogged or pigmentation issues skin can receive a micro as often as ever 2 weeks. Dry, aging, dull skin should be a consistent monthly routine. Microdermabrasion stimulates blood flow, which increases the nutrition delivered to skin cells. This improves cell production, which improves skin's elasticity and texture. Every session not only improves pigmentation and unclogs pores, it also has great anti aging benefits. Making microdermabrasion great multi tasker! Cellulite is considered normal and very common. Cellulite is actually caused by fibrous tethers that run through your fat and pull on the fascia that lies underneath your skin resulting in lumpy, bumpy thighs and buttocks. It effects up to 90 percent of women and approximately 10 percent of men. Getting rid of those pesky dimples takes a dedicated routine. Ideally dry brushing and caffeine based scrub should be done 3 to 5 times per week to smooth the appearance of cellulite. Dry brushing is good for glowing skin, manual lymphatic drainage and also helps to remove cellulite from the body by boosting oxygen into the blood. There is a right way to dry brush. Make sure to research the proper techniques and always brush towards the heart. Dry brushing helps to remove cellulite from the body by boosting oxygen into the blood. Dry brushing is not recommended for the face! Realistically, most people will not be able to do a full body dry brushing 5-10 minutes 3-5 times a week. I suggest targeting the buttocks, thighs and belly for 30 seconds each directly before bathing. Once you are done with your regular bathing routine, apply a coffee based body scrub. It is important to do the scrub last before ending bathing. The oils in this scrub do make the tub/shower slippery, so take caution. Caffeine tightens and provides antioxidants when applied to skin topically. This will leave your skin soft, glowy and moisturized.Here is a wonderful DYI scrub recipe. Here at Drift Wellness Studio we provide a dry brushing service. It is an add service to any massage or facial. We get to those hard to reach areas and let's face it, it feels good. Come in a relax and refresh today. I truly felt that I had made a connection with a client, we just clicked. When she no longer showed up for regular facials, I asked myself what did I do wrong? It feels strange on a professional side to inquire about why she was no longer coming in. Over one year later, she walks in with an ear to ear smile and a slight tear in her eye. She explained that when I expressed numerous times to please, please go see a Dermatologist about a spot on her face that I was concerned about, she began to worry. She took my advice, went to the Dermatologist and they confirmed my suspicion. It was indeed, melanoma. Her situation was dire. Immediate removal and Mohs surgery was required. 6 stitches the first test removal and over 25 internal stitches during Mohs. Let's just say there was a lot of tears, hugs and long conversations about how much I missed her and her smile. Knowing that I truly made an impact on someone's life is a life changing moment for both of us. So on this note, please take the time to get a yearly full body check at a Dermatologist. Best wishes for the New Year and Health! Going into the winter month's, it is important to protect your skin. The combination of lowered humidity from heaters, wind and cold, our skin begins to feel the weather. We have just the facial treatment to combat winter skin. The Winter Repair Facial is a full 90 minute treatment designed specifically to rehydrate dry winterized skin. We start off with a skin analysis to ensure that every treatment is fully customized to each individual's needs. Next a deep cleansing followed by a full face microdermabrasion treatment, a customized masque and hand and a foot massage. The masque is removed by a warm steamed towel, a vitamin packed serum is applied and then a complete facial massage including; face, shoulders, neck and scalp. This makes a wonderful gift for those hard to buy for people. Come in out of the cold. We have the bed warmer on just for you. What to give that hard to buy person this Holiday Season? A Gift Certificate to Drift Wellness of course! Hands up if you don't like massages and facials.....Not seeing many hands out there because they are awesome! We are running a Gift Certificate Special. Buy 3 or more 1 hour services and get $5 off of each. We can schedule a time for you to pick up a gift certificate or we can send and online version for all those last minute shoppers out there. What a great way to say you care. Give the gift of relaxation this Season. From our families to yours, Happy Holidays! If you are frustrated with light eyelashes or eyebrows, tinting is just the solution for you. Our semi-permanent tinting products are designed to nourish the hairs as it tints. The tint also pigments those tiny blonde hairs that you dont see until they are tinted, resulting in a fuller thicker appearance. Imagine not having to worry about mascara or filling in your brows for 4-6 weeks! So come on in out of the cold. We are here making life easier one tint at a time. Dry brushing has so many health and skin benefits, but how does it work? Exfoliation: This is what most will notice immediately, softer and much smoother skin! The process of running a firm brush on dry skin helps loosen and remove dead skin cells, thus naturally exfoliating skin. Clean Pores: When you dry brush you are exfoliating, that also means that you are clearing your pores of oil, dirt and impurities. Lymphatic System: When you dry brush it will kick start you lymphatic system, which eliminates toxins. The stiffer the brush (bristles) the better the stimulation. Cellulite: What, cellulite? Yes, it helps reduce cellulite. Cellulite is really toxic materials that have accumulated in your body’s fat cells and are stuck and unable to be eliminated from the body. Dry brushing helps break down those trapped toxins from within and helps eliminate them naturally. In-grown Hair: When dry brushing you are exfoliating, that means you are removing a thin layer or dead skin build-up. If you suffer from ingrown hair, particularly from shaving, when this layer is removed it allows the hair to grow in its natural direction and avoid infection. Going into the winter months, we all have dry skin. We can reach most of those places on our own but not our back. Do you know anyone that could benefit from a skin treatment for that hard to scratch place? What a perfect gift for that someone who is hard to buy for! This treatment includes a deep cleaning, aromatic steaming, exfoliation (scrub off all that dead skin), extractions (if needed), warm towels and a moisturizering masque that is designed to leave your skin Ugly Sweater ready. We all need a break from the hustle of everyday life. Self care helps us stay healthy physically, mentally and spiritually. Come visit us today for a massage, facial or energy work to get you back out in the world at your best. "Me" time allows us to de-stress, unwind and rejuvenate. Taking time for yourself allows you to renew, heal, and create reserves of energy and peace. Take the time to ensure your wellness, you deserve it! Ive always had a passion for aromatherapy. As a teen, I experimented with oil blends and my fair share of patchouli. My teacher in massage school was a highly skilled aromatherapist from England and she taught us in depth blending techniques beyond what is typically taught. Ive been working with essential oils for my skincare products for years now but have recently dove into the therapeutic benefits for the mind and spirit. I enjoy doing energy work and the aromatherapy works in harmony with that type of healing. Using specific essential oils during my reiki and massage treatments allows me to enhance the relaxation and bring a deeper healing to my clients. I’m now offering customized aromatherapy blends. We can schedule an online consultation and I will create a blend specifically for your issues and goals. I will send you home with a 1oz oil blend to use on yourself or to bring in to be used during massages or facials. Are you stressed? Can’t sleep? Dealing with grief? Bad breakup? Insecurity issues? Need help studying? Depression? Nervous energy? Aromatherapy can help with all of this. Contact us today and we can get started. Have you stretched lately? Chances are you haven’t. Many of us don’t have a regular stretching routine and we forget (possibly ignore) how vital it is to our overall health. Granted who has time to stretch when there is dinner to make, dogs to walk, laundry, yoga class and the list goes on and on. Did I say “yoga class”? Yes, even those who do yoga on a regular basis could benefit from additional stretching, and here’s why. If you practice yoga daily, you’re probably set, but if you are a once or twice a weeker you still have 5 days a week you need to stretch. Focus on areas like chest, abdomen, hips and neck. Optimal times are before bed and upon waking, post workout or pretty much any free time you can squeeze. It doesn’t have to be fancy, just taking a few minutes to get on the floor and stretch what feels good is a start. Here are a few videos to help get you started. Ultrasonic Facial is a gentle, non-invasive treatment that is safe for all skin types and conditions, from acne or rosacea to mature skin. Even the most sensitive skin will benefit from this treatment. The application of ultrasonic frequency is used to increase cellular turnover, plump up and smooth out fine lines and wrinkles, improve acne, tighten enlarged pores, relieve puffy eyes, or fade dark eye circles. The sound waves penetrate into the skin but they do not cause any discomfort or adverse side effects, making the process highly effective, with no downtime, redness or pain. The sound wave technology is used to penetrate below the surface of the skin, ultrasound energy is absorbed which results in a slight rise in temperature in the surrounding tissue. This promotes cellular renewal and repair, increases blood circulation, encourages lymphatic drainage, combats puffiness and swelling. Sound vibrations also have the power to push nutrient-rich serums deeper into the skin, increasing active ingredient in products. I’m excited to announce Drift Wellness is now offering Manual Lymphatic Drainage in Athens GA. MLD is used to help with various conditions as well as detoxing the body and helping it heal form surgery and injury. This can be done in a 45 minute session or in a 90 minute session when combined with regular massage. This is used to treat a variety of ailments, including lymphedema, joint pain, autoimmune disorders such as MS and Crohn’s, menstrual problems, skin disorders such as acne and rosacea, migraines and vertigo…to name a few. 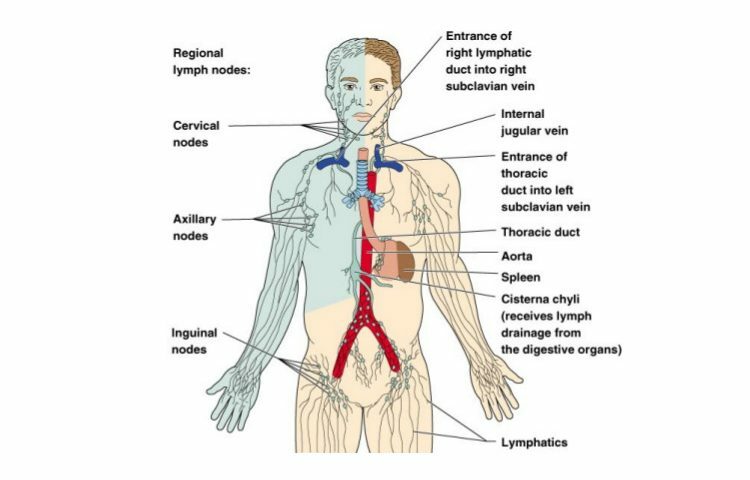 The lymphatic system is made up of organs, ducts, nodes and vessels and is considered a vital part of the circulatory system. The clear fluid called lymph is made up of white blood cells including lymphocytes which help the body’s immune system defend against harmful bacteria and cancer cells. Lymph nodes which are found in the neck, abdomen, groin and armpit. The session will use light rhythmic massage to move the lymph system 10x faster and clear toxins from the body at an accelerated rate. You should drink a minimum of 16 oz of water before the treatment and avoid sugar and alcohol 24 hours after session if possible. Stay close to a toilet because it makes things MOVE! Today was the first day I truly felt like Fall has arrived in Athens. I woke up to a cool crisp morning and in immediately wanted something pumpkin spiced. With the season changing, it might be time to add an oil to your skin care routine. When you turn on the heat or start up that fireplace, the humidity in your home/work/car decreases. Low humidity equals dry skin. We have the just the solution for you. Drift Wellness Studio's very own skin care line Ester, created by Casey Gunter, has an amazing Age Defying Night Treatment Oil. This oil is packed with the perfect combination of therapeutic organic essential oils and carrier oils, designed to prevent fine lines and age spots. This versatile product can also be used as a makeup remover and oil cleanser. This is hands down our #1 selling product and we have a new batch coming in just in time for Fall! *tip~ Use on the back of the hands to prevent premature aging as well. Facials can help with obvious issues such as acne, dehydration and dullness but the long term benefits go much deeper. The initial effect of a facial helps the skin look and feel brighter, smoother and refreshed. The long term benefits to regular facials prevent aging, reversal of hyperpigmention and scarring and stress reduction. Take time to take care of your skin as well as your mind. Wether you want to relax and de-stress or have an active conversation about your skin and life, we are here for you! I am lucky to work with 2 fantastic, caring and highly skilled massage therapists. Jennifer and Claire bring a variety of backgrounds and techniques to our practice. Between the three of us, we have something for everyone. Tell my clients all the time “ you should really see Jenifer sometime for some deep neck work sometime” or Claire to do a stretching session. We Try to work together to provide our clients With exactly what they need, when they need it. Relaxation massages and Swedish massages are highly beneficial but everyone should try a therapeutic deep tissue massage if they are dealing with pain issues. We can always tailor the pressure so it doesn’t have to be painful. If you are looking for a deep tissue massage in Athens GA, look no further. We are here for you and will do our best to give you the experience you deserve. We pride ourselves on being a client focused practice and have been providing massage and skincare services here in Athens for over 10 years. For more info on deep tissue massage click the links below. A significant majority of our clients come to us complaining about neck and shoulder pain. With the lives we lead in our society which are heavy with time on the computer or phone and driving in the car, as well as ridiculously high stress levels, it’s not shocking those are the most common problem areas. When sitting at the computer, take a 5min break every hour to get up, walk around, hydrate with water and stretch. Try alternating sitting and standing with a standing desk. When looking at your phone, hold your phone up in front of your face instead of looking down at it. When driving, make sure the back of your head is touching the headrest to keep you from sitting with your head forward. Ideally, your sleep position is laying on your back with a very thin pillow and a pillow under your knees if needed. This is the most neutral position for you muscles, it allows them to heal and balance while you are sleeping. If you haven’t been able to sleep on your back, try laying on your back with something with weight on your torso, ie a folded quilt, pillow or weighted blanket. This gives the sense of security stomach and side sleepers need in order to fall asleep. If you’re a side sleeper and you tried the above recommendation but still can’t manage to fall asleep on your back, there is a way to minimize the effects on your body from sleeping on your side. First, use a medium thickness pillow under your head and make sure your head and neck are inline with your spine, as opposed to curling in forward like as in fetal position. Next, hug a pillow between your arms and legs, use two separate ones if you don't have a body pillow. Having the pillow(s) between your limbs reduces the amount of stress put on the muscles, tendons and joints. Lastly, sleep is the most important thing! If some nights you just have to lay on your stomach to fall asleep then do so. Your body and mind need the healing and rejuvenation, every night, that sleep provides. We offer Reiki in Athens GA. I remember my first experience with Reiki. I read about it in a book when I was a teen and couldn't wait to try it out. I went to visit my grandfather in the nursing home and somehow convinced my mom and sisters to join me in trying this strange energy work out on my grandpa who was suffering with dementia. We kind of giggled and gave it our best. Focussed our energy, our hands hovering above him. A warm, tingling energy came over us and before you know it, My Pop sprung to life and asked for a cigarette. It scared us all to death! I was sold. I went to massage school when I was 25 and studied Reiki under a fantastic British woman. I went and had my first professional treatment form her. She surrounded me with crystals, put crystals in my hands, asked me some questions and next thing you know, I was sound asleep. She was very nice and sent me on my way without much info on what had happened or what it meant. I wondered if it worked at all. I noticed a difference though. My anxiety was better and I felt more confidence for about a week. I went on to get my Reiki I and II certification form a eccentric woman in Charlotte NC. She ran a Bed and Breakfast and was a dog breeder. A litter of puppies was born, while I was there. She was fantastic and I felt an energy I had never experienced. She attuned us to a vibration that allows us to receive and transfer the healing energy easier. 3 days of Reiki Reiki Reiki. I was really starting to connect with the idea but still feeling insecure in that "I" could do this. Suddenly her husband rushed into the room, frantic, with a brand new, hour old, puppy who was lifeless and not breathing. Teacher was calm, and continued the class while her hands were gently folded around the sagging pup. I found this kinda weird and morbid but I'm not one to judge. After about an hour, she paused her lesson and opened her palms to reveal a weak but wiggling puppy. We were all in shock. She called her husband up, he walked in and began to cry. We all jumped to attention then. We wanted to learn! After my certification, I tried Reiki on anyone who would let me. I did distant Reiki on friends that lived in other states, any chance I could get, but still I struggled knowing if I really felt anything substantial...if I was really doing anything. During this time, I was single, raising a child, working 2 jobs, going back to school, opening a business. I was stretched so thin, I didn't know who I was anymore. I was lost. So I did something that I never really tried much before. I did Reiki on myself. It seemed to help but I still felt off, I needed proof, something visible. I did a little research and found that many people use crystals and even pendulums to assist with Reiki. I went on Amazon and ordered a well reviewed, Rose Quarts pendulum. I began to work with the crystal and built a trusting communication with it. Then I began balancing my chakras, one by one, every day. I found patterns with my emotions and body pains and what the pendulum would tell me about my chakras. I learned so much. I eventually found my way back to myself. I restored peace, faced darkness and moved forward in ways I never imagined. My body healed. I began to share my practice with trusted clients and they seemed to really enjoy the feedback. I always inform my clients on what I find and where they can research the info. It is a very personal thing for each person. Only they can really know what the result may mean to them. I fell in love with Reiki. Then my father got sick, with terminal cancer. I did't know how to comfort this man, whom I loved so much. This quiet, conservative man that was my closest male figure but also a stranger in some ways. I'm the baby of the family and didn't know my place in all of this. I gave what I could.... Massages, lots of home cooked meals and swinging crystals over my heads head as often as possible. At first he found it weird..but he was use to that with me. Eventually he would ask me to do it. "Make sure you bring your weird hippie crystals" he'd say. We became the best of friends during that time and made some of the BEST memories of my life. We still talk every day though it's been almost a year since he passed over. I do most of the talking these days. It helped him.. I'm not sure how or why but it did. Then the aftermath. the ones left behind, the care taker. My mom. 3 years of care taking, doctor visit, chemo recovery, praying, crying, hiding behind smiles. After it was all said and done she was down to 90 lbs and developed crippling pain in her hip and back. She wouldn't stretch, she wouldn't got to the doctor, she wouldn't eat. All she could do was complain about the pain. She was the pain. I massaged her, stretched her, nagged at her, fed her, anything I could do. Finally I busted out my crystals and said "Just try it". She thought it was ridiculous but agreed. I began reading her chakras and it made sense to me. Her heart chakra was waaayyyy off and the Root was destroyed. The Root chakra is at the base of the spine, known for causing low back pain. The Root also holds the emotions around our foundation of life, our home and family. Dad was our foundation... her everything for almost 50 years. She was broken. I began to work, with her permission, every day. I would check and balance her chakras every morning when I got out of bed doing distance Reiki. Mom was beyond belief. She tried to explain it away but would call and ask me to do distance Reiki when she felt a twinge coming back. She is pain free, eating well, traveling and making the best of every day. I cannot take credit for her massive, endless strength but I know I helped and I am so very grateful I could in some way, give back to her. Why does it work? I really have no idea How does it work? ummm....there are lots of books about it but honestly...no clue. I know that I now have a gift for it and I love doing it. I do it daily on myself and it SAVES me. Emotional pain causes Physical pain and Reiki can help. Drift offers affordable waxing services. Leg waxing, bikini waxing and underarm waxing can be a lifesaver in the summer months. Long weekend trips and spontaneous trips to the pool call for constant shaving which can lead ravor burn or annoying, prickly hairs. Consistent waxing on a 4-6 week schedule can gradually reduce hair growth permanently. Schedule an appointment today and stop thinking about when you will have time to shave.